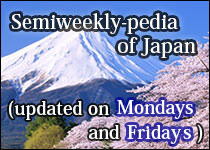 The Japanese word "chiho" means "region" in English. 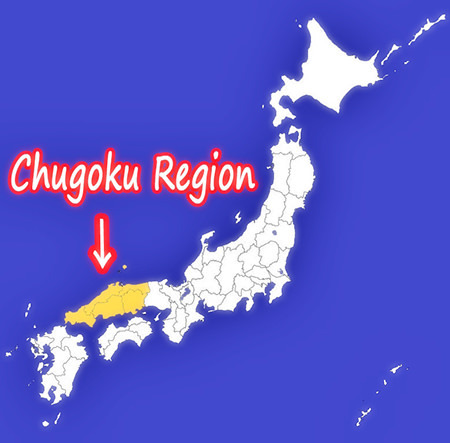 So, "Chugoku Chiho" can be paraphrased as "Chugoku Region". 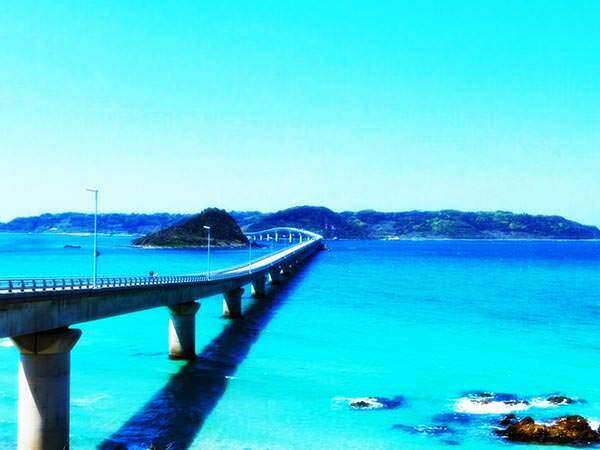 This region is in the western part of the Honshu island (refer to #062) and consists of the following five prefectures: Hiroshima (refer to #076), Yamaguchi, Shimane, Tottori, and Okayama. 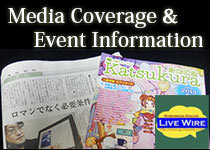 Originally, the word "chugoku" indicated "nearby country". So in Japanese, China is also called "Chugoku". In order to distinguish between China and the region in western Japan, people call the former just "Chugoku" and the latter "Chugoku Chiho".